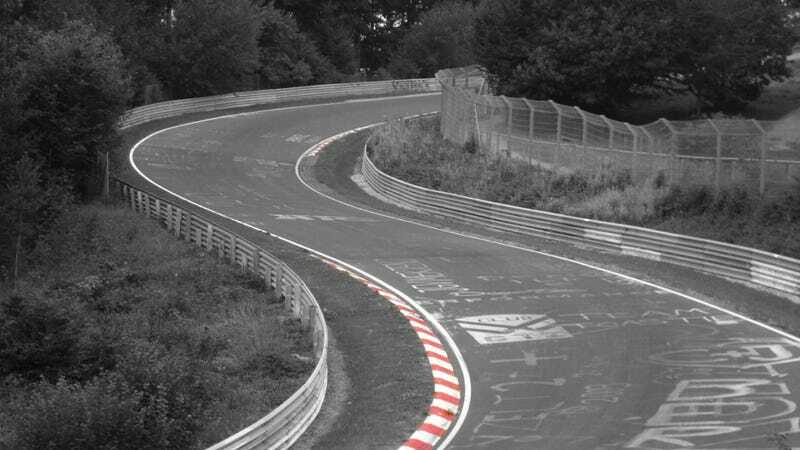 A group of American investors have decided to purchase the legendary Nurburgring. It's an audacious plan. But was it a bad idea to sell it in the first place? Let's break down why it was a mistake. I am a big fan of Nordschleife, the track, the history, the Eifel area, the people, the racing - everything. I have been protesting against the Leisure Park, when it still was in the planning phase, I protested against it, when they were building it, I protested against the Lindner/Richter lease contract (Richter even sued me and my forum, which made me close it for a year) and now I'm protesting against the sale of the tracks. So why is it a bad idea to sell Nürburgring? 1.) Public ownership becomes private ownership. Never before in it's nearly 90 years history has the Nürburgring been in private ownership. Funding came from the public in the first place and it was the taxpayer who kept it running. 2.) Non-profit vs profit oriented. As a typical non-profit company in public ownership, the Nürburgring has never been forced to make profits. Mis-management led to losses, but the setup originally allowed for maintenance and investment from the funds earned. This all will change dramatically, when a private company has to satisfy investors. Twenty percent has been mentioned by papers, which equates to an additional 20 million Euro profit, in case it's sold for 100 million Euro. Clearly this is impossible in the long run and would only destroy the available assets. You have two options to achieve that: raise prices or drive down maintenance. 3.) Public company vs private company. The Nordschleife is located right in the middle of a nature reserve. Due to its size no less than four villages are located within the track. This has never been a big problem when operated by the government: one department talked to the other. Once in private hands this will all be different and confrontations are lining up already, ranging from environmental complications to noise complaints. During the Richter/Lindner era (May 2010 - Nov 2012) we got some taste what a private-run Nürburgring means for the small businesses: step-by-step all services, which softly grew over decades, got absorbed by them and with the power of tracktime customers have been forced into having fewer choices. No matter the quality. These guys only rented the Ring, imagine what an owner would do. You see many closed shops in Adenau already today, this will only get worse, when they are excluded from participation with the Ring's businesses. Very sensitive subject. People tell me nobody would stop something which earns money. Richter/Linder pushed the traffic to the max, ignoring all risks involved. However, their greed was short term. For a new owner several problems are just around the corner: risk obviously is a big one and it's a different game for a private company compared to the government. How many tracks do you know, which offer tourist drives the relaxed way the Ring does? None. How come these tracks don't do it, if it's such a cash cow? Compare this to a posh VIP track day, 20 people with their Ferraris etc., 5k each. No traffic, no risk, no work, 100k a day. Complete no brainer if you ask me. This is what the Ring is all about, the ladder from tourist drives via GLP, RCN, VLN up to the big 24 Hours race. The races are already at risk now with the prices driven up in the last few years, don't be surprised when that all collapses. The cultural heritage of the Nordschleife needs to be preserved for generations to come. It's without equal in the world and deserves special protection. Once in private hands the public has no vote anymore and the new owner is allowed to change everything. Once the sale is done, it's done for good. But there is no need for the government to act that fast, in fact there are many more options than just selling. Insolvency administration claims they make profits - so why not keep Nürburgring GmbH and save it, rather than sell it as quickly as possible? Even the insolvency administration states that the sale is only valid after the state-aid investigation has come to a close by the European Commission. Which means the buyer signs a contract, that only comes into effect after that decision. Why not use the time to evaluate options and find a solution everybody can live with? That would be better. 10.) Ja-zum-Nürburgring with Otto Flimm. Otto Flimm doesn't get tired of fighting the sale and keeps pushing for a good solution. He's already declared that he will call the European Court of Justice if the sale goes through. More years of uncertainty in the pipeline, which help nobody - and which can be avoided easily! So what would be a viable solution? It's pretty easy really: a non-profit oriented operation of the race tracks, sale of hotels and leisure park to the highest bidder - and everybody - Ring, region, motorsport - would be able to race into a great future. This post was originally published by Mike Frison on March 6th, 2014 and was republished here with permission. Send an email to tips@jalopnik.com with the subject line "Syndication" if you're interested in having work published here.